BEIRUT (AP)  Syrian activists say government warplanes have been bombing the central city of Homs, one of the flashpoints of the 18-month-old uprising against President Bashar Assad. The Britain-based Syrian Observatory for Human Rights says Friday's attack is the worst the city has seen in five months. The focus of fighting has shifted to other areas, including Syria's commercial hub of Aleppo, since a government offensive against rebel strongholds in Homs ended in April. The Observatory, which relies on a network of activists on the ground, said tanks and mortars as well as aircraft had bombarded the city's Khaldiya neighborhood. 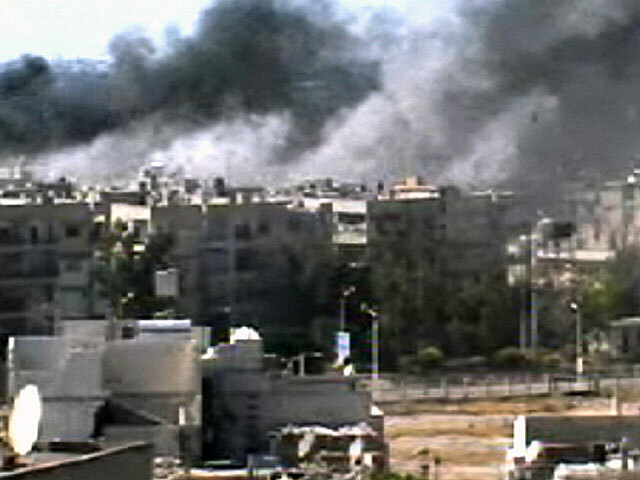 Activists estimate that more than 30,000 people have been killed during Syria's uprising and civil war.